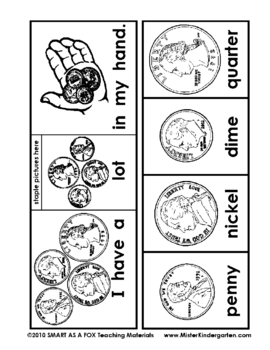 Your students will create 15 flip booklets that feature the most common sight words in Kindergarten! Each booklet is made from a single piece of paper. The students cut out four rectangles and staple them to create a five page booklet. 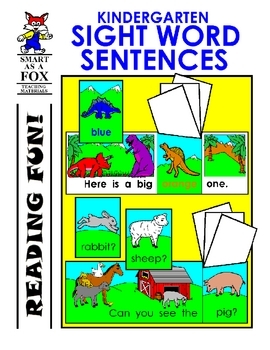 For example, a booklet featuring dinosaurs reads: "Here is a big red one." The students flip up the "red" page to reveal another color and then read, "Here is a big blue one." This pattern continues with three additional colors. 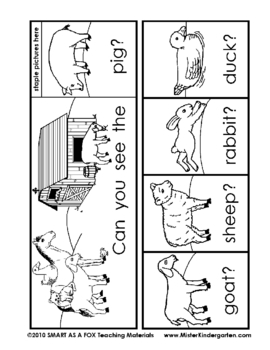 Children benefit from this repetition and gradual introduction of new vocabulary. They are so proud to be able to read the books all by themselves! Click above to download FREE sample booklets. Each booklet is available as a black and white student reproducible as well as a full color teacher version! Words included in this title include: a, am, at, big, can, get, go, have, he, here, I, in, is, it, like, look, made, my, of, one, over, play, said, see, she, the, there, they, to, want, was, we, with, you and many more! We are the ORIGINAL Flip Books- since 1996! Most of the above titles are also available in Spanish. Many available in Chinese, French, Italian and dozens of other languages!